You will already see two articles about one of our member's layouts (Albroke) but there are more and we will add some information about them here. Space required 6ft x 6 ft. Depicting a run down chalk quarry the trains are made up of small engines with strings of equally small skip wagons carrying chalk or other minerals. 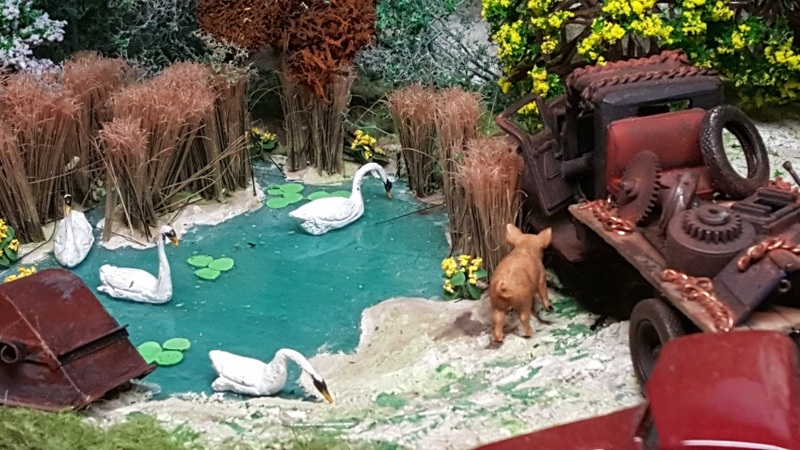 The scenery consists two tracks running through a quarry, which was partly flooded and has a large ‘puddle’ overgrown with weeds, a store shed and an old loading facility, much dismantled and due for demolition. Trains, running to and from the offstage processing plant and other pits enter and leave through the tunnels . Above the quarry, the narrow track to Pit Cottage is overgrown but still carries traffic close to the cliff edge. 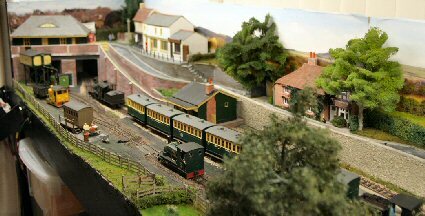 This layout is to O-16.5, in other words 7mm scale stock running on OO gauge track giving a prototypical gauge of 2ft - 2ft 3in. 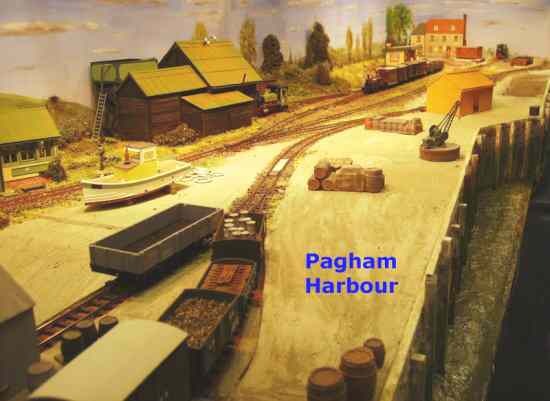 Pagham Harbour is based on the place of the same name, just West of Bognor Regis in West Sussex. 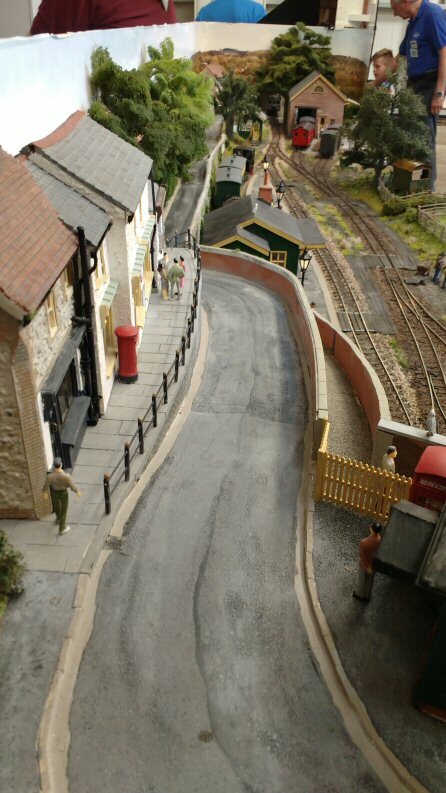 The layout is based on a quayside, with the front of the layout acting as the harbour wall and the scenery includes a slipway further enhancing the quayside feel. The layout is based in the post WW2 era, possibly during the Coronation period. This is a modular layout for which group members are making their own modules. 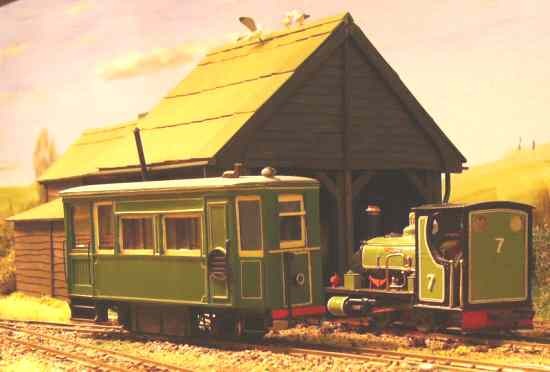 The scale is O16.5 and it represents a fictional preserved narrow gauge railway of approximately 2'4" gauge in West Sussex. Originally built to serve the various industries - mainly various forms of mineral extraction and processing - from the South Coast to the southern Weald but also serving as a common carrier providing access to various small villages in the area. Even now, some of these can be a challenge by motor vehicle as a result of which the railway managed to survive rather than thrive, for long enough for it to be preserved. Each module, as it is produced, will reflect some point on the route during preservation days. Buildings are almost entirely scratch built and are models of, or closely based on, West Sussex prototypes. Fun for viewers to see if they can identify them! Chris's section of this modular layout this is a model of a fictional narrow gauge railway, the Slindon Vale Railway. 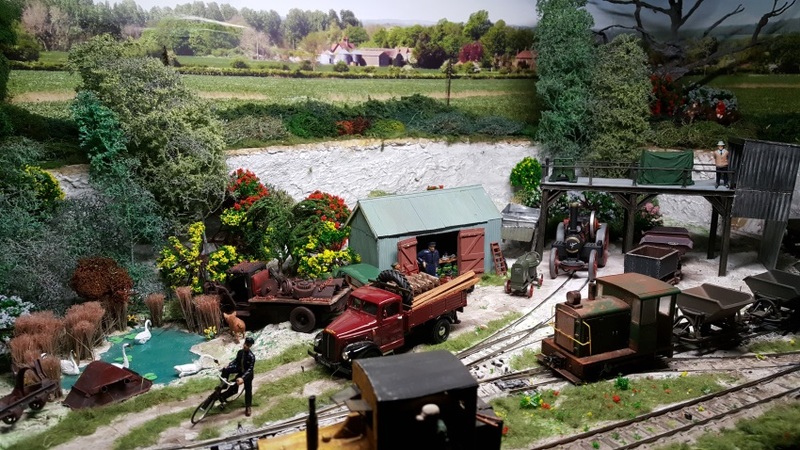 Originally serving both the numerous mineral extraction areas in Sussex together with the local population, it is now modelled in recent years when it is running as a preservation line. Currently there is an additonal module completed which fits in between the fiddle yard and the station. This brings the layout lenght to 16ft and the space required to 18ft length. 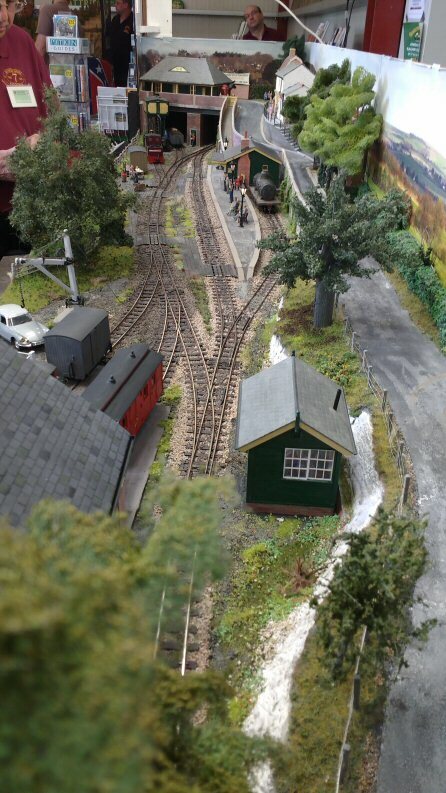 The module represents Norwood Depot with storage etc facilities for coaches, wagons and locos.